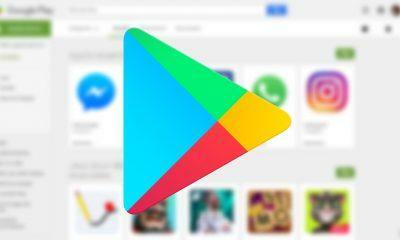 Google recently rolled out a new version of it’s Google Play Store 13.5.18 through APK update. However, like always it officially didn’t hit the Google Play Store itself. Being the search engine giant Google often tends to release updates every once in a while. And likewise, the Google Play Store doesn’t seem to be an exception here. Google is always familiar for its dominant search engine which incorporates simplicity, minimalism and user-friendly interface. Similarly, Play Store is the warehouse for its whole host of apps, which are present according to the categories such as Apps, Games, Books, Songs & Movies. And each category has its subcategory. As a freeware, the Google Play Store comes preloaded in Android OS and from there users can install both free and paid apps. Being a Google product, it syncs up with Gmail which mitigates the user’s hassle of installation of paid apps in different devices at the same time. 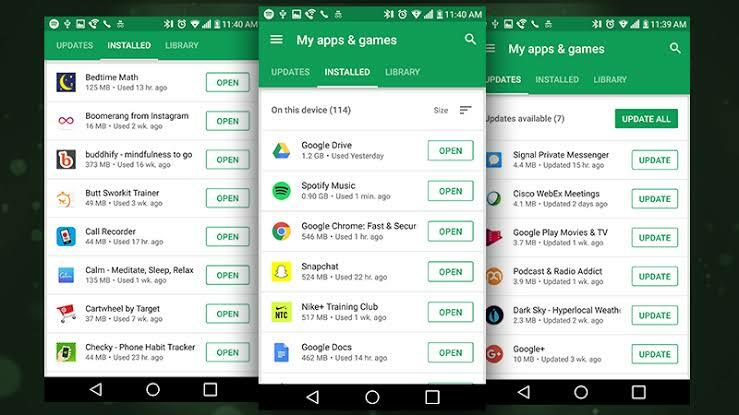 Ever since it’s inception in 2012 till now, Google Play Store has indexed millions of Apps and Games at its disposal and, interesting Play Store also allows to install the beta version of the existing apps according to users requirements. As an App Marketplace, the Google Play Store doesn’t require to be manually updated, as it gets automatically updated under the hood. Moreover, updates vary from the device and Android version to the same. Apart from features like new card widgets at the top of the search results, & Google Play Instant, the Google Play Store has a lot to offer. In this update Play Store brings up some interesting updates and bug fixes. So, let’s walk you through every one of them individually. 1. Major improvements & Bug fixes in the user interface. Play Store update includes the user interface improvisation throughout the app, transition animations & design elements are also improved along with some bug fixes. 2. Personalized recommendations. Google Play Store has always been working to improve the personalized recommendation to its users based upon the user activities. However, through this update, a major part of this feature will be modified. 3. Google Play Instant. Ever since the inception of this feature, the Google Play Store team has made several subtle changes to make it suitable for devices with low configuration. And in this Google Play Store 13.5.18 update, this feature will be stable to use. 4. Early Access to upcoming Apps & Games. 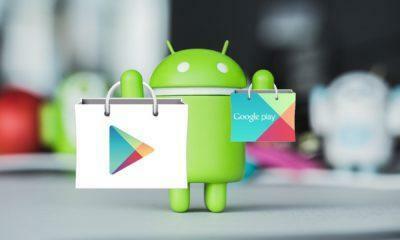 Google Play Store started shipping the early Access feature when apps and games are still under the development phase, which can be installed and experienced the sneak peek of its idea behind the app. However, at the initial stage of installing users will face a lot of bugs as the app remains unstable. 5. Editors Choice. Play Store includes a separate section which provides for apps that are especially recommended by Google itself. But in this update, the details are quite intuitive and more focused. So, users can get a clear insight into the app and its performance.At the moment Google Play Store 13.5.18 update didn’t get officially rolled out in the Google Play Store itself. However, it is free to download via APK update. As far as safety is concerned, the APK file is directly extracted from the official site and is also hosted without any modifications. So, that means it’s 100% safe & secure to download and install in all the supported devices depending upon the requirements. And if you’re wondering how to download it to your device, then first head over to the downloading link of APK mirror, after you’re done check the unknown option and the attempt to install it into your device. 1. Major improvements & Bug fixes in the user interface. Play Store update includes the user interface improvisation throughout the app, transition animations & design elements are also improved along with some bug fixes. Google Play Store has always been working to improve the personalized recommendation to its users based upon the user activities. However, through this update, a major part of this feature will be modified. Ever since the inception of this feature, the Google Play Store team has made several subtle changes to make it suitable for devices with low configuration. And in this Google Play Store 13.5.18 update, this feature will be stable to use. 4. Early Access to upcoming Apps & Games. 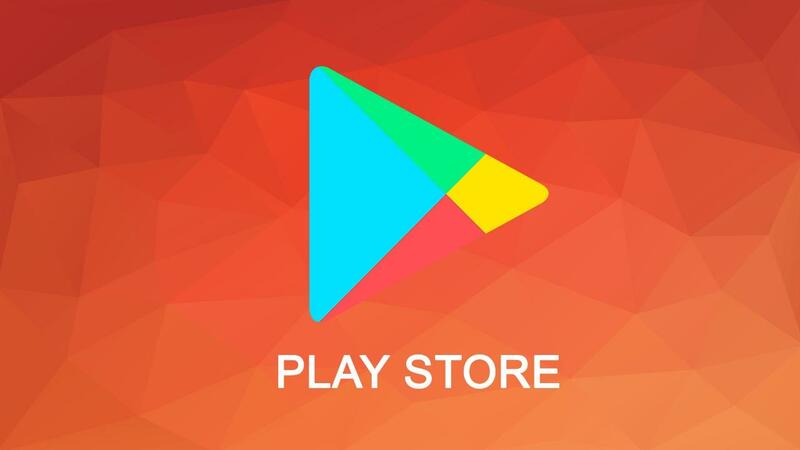 Google Play Store started shipping the early Access feature when apps and games are still under the development phase, which can be installed and experienced the sneak peek of its idea behind the app. However, at the initial stage of installing users will face a lot of bugs as the app remains unstable. Play Store includes a separate section which provides for apps that are especially recommended by Google itself. But in this update, the details are quite intuitive and more focused. So, users can get a clear insight into the app and its performance. At the moment Google Play Store 13.5.18 update didn’t get officially rolled out in the Google Play Store itself. However, it is free to download via APK update. As far as safety is concerned, the APK file is directly extracted from the official site and is also hosted without any modifications. So, that means it’s 100% safe & secure to download and install in all the supported devices depending upon the requirements.